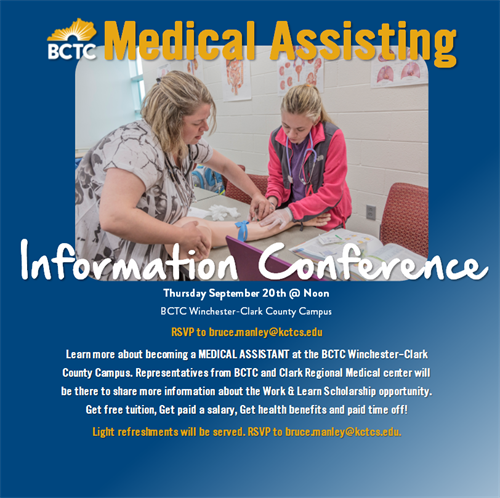 Learn more about becoming a MEDICAL ASSISTANT at the BCTC Winchester-Clark County Campus. Representatives from BCTC and Clark Regional Medical center will be there to share more information about the Work & Learn Scholarship opportunity. Get free tuition, Get paid a salary, Get health benefits and paid time off! Light refreshments will be served. RSVP to bruce.manley@kctcs.edu.